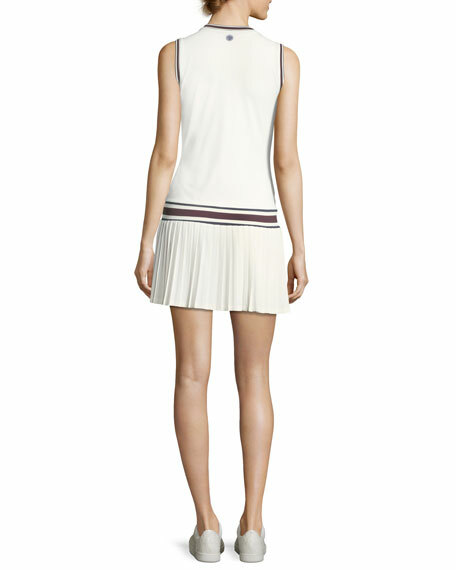 Tory Sport tennis dress in performance soft jersey with striped rib-knit trim. Approx. 33"L down center back. For in-store inquiries, use sku #2168102.